As the summer season begins to loom on the horizon, the time to begin planning your summer travel hijinks is nigh. With Greece squarely in your sights in order get in a good spot of carefree island hopping, you already have plans for the smaller ones. But Crete stands out among the smaller fragments in the Mediterranean due to its size and its history within Greece’s ancient civilizations. This alone has inspired you to look into Crete flights … the only thing left to do before hitting the “book” button is to research all the key sights that can be found here. We have covered that angle for you in this article, as we will profile all the key sights, attractions and spots to lounge on the beach and enjoy the life at night without emptying your wallet before your return flight home. Let’s get into it! 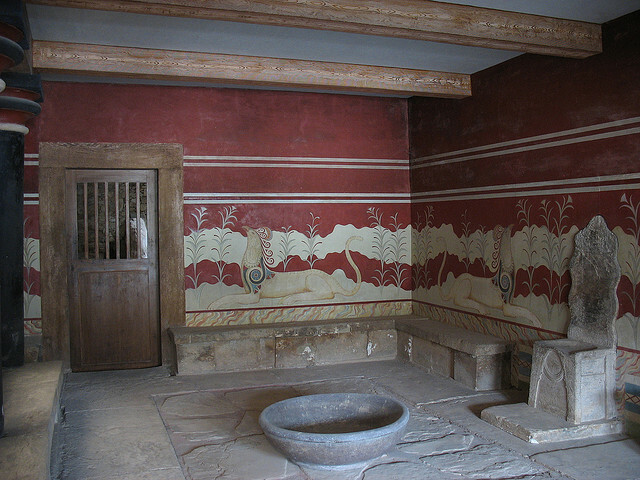 The first sight you should visit is the Palace of Knossos, which was one of the more impressive Minoan civilization ruins that have survived the test of time. It used to be where the legendary monarch Minos ruled his advanced empire, which even boasted its own navy as far back as 5,000 years ago. A tsunami marked the beginning of the end for this island of civility, which was absorbed shortly thereafter by the main Greek empire on the mainland. Another major cultural landmark you should make time for is the Venetian fortress in Rethymno, which served as a bulwark against pirate attacks and invasion attempts by the Turks in the 14th and 15th century. The fort eventually did fall to the Ottomans, as shown as a restored mosque within the walls of this beautiful fort. There are a variety of jaw-dropping seaside abodes where you can relax, work on your tan, and splash around in locales that rank as some of the best places to spend the summer months in all of Europe. Hostel beds start at around $14 USD, gyros on the street cost about $2.50 and a six pack of 500ml Mythos beer from the supermarket will only cost $5, so you will be freed from worrying about your travel budget, so you can spend more time enjoying these world class strips of sand. Places you’ll want to hit up include Falassarna (blinding white sand, award winning, ruins at north end), Episkopi (big, quiet, epic mountain views), and Bali (its outstanding beauty reminded its namer of the tropical Indonesian island). The major town for nightlife in Crete is Malia, which is popular with young British lads … if you’re looking for a rollicking good time, this is the place where you want to be. Pints start at $2.50 in the pubs, and discos stay open all night to service party people of all stripes. Those wanting to hang with Scandinavians should head for Chersonissos, where these beautiful people dance the night away in equally impressive surroundings. While there are many smaller getaways in the Greek islands, they tend to be more expensive than Crete does. By spending time on the biggest isle of them all, you’ll be able to travel cheap, see amazing sights, and relax on world class beaches, while thinking of epic night to come in the raucous clubs in its lively party towns.